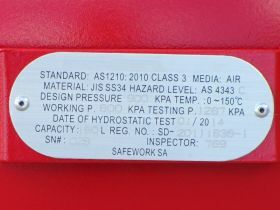 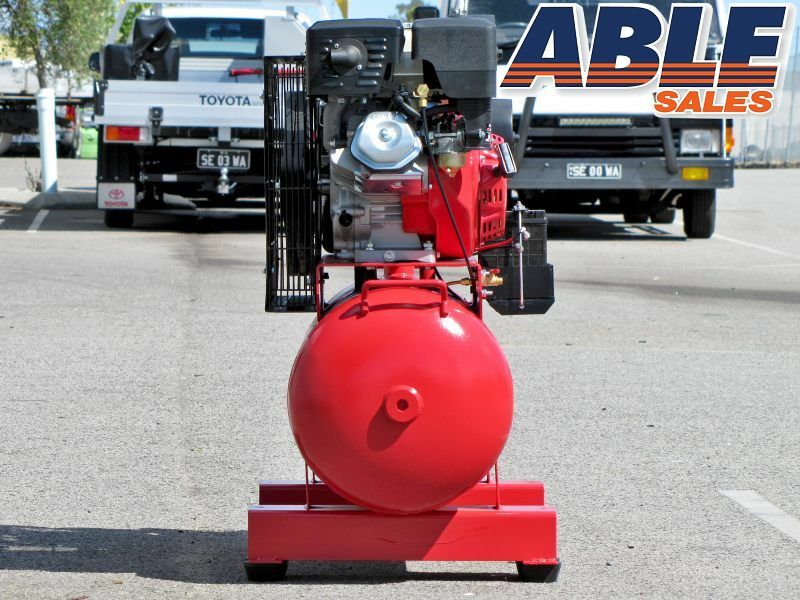 In a hectic commercial environment you need equipment that you can trust. 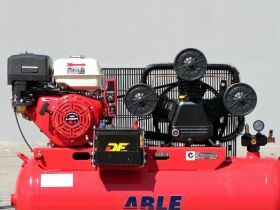 Equipment that works hard, lives long and won't eat into your profits. 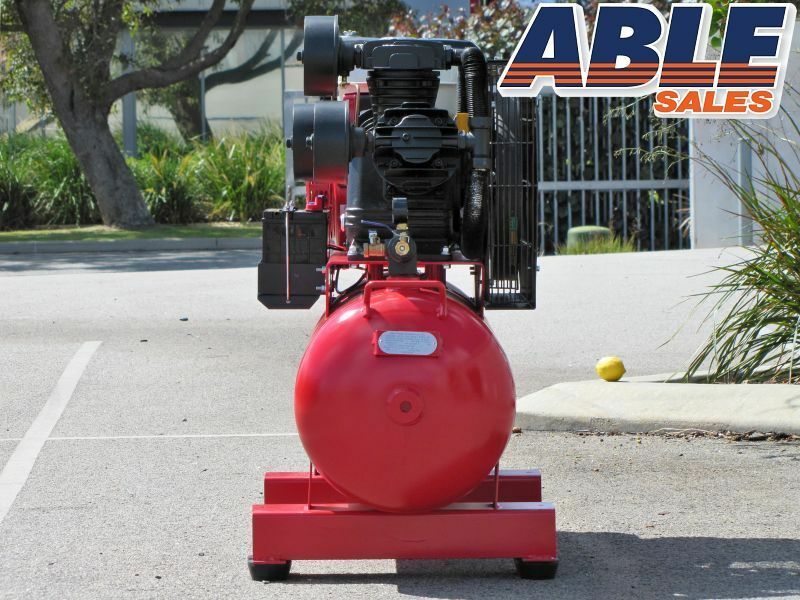 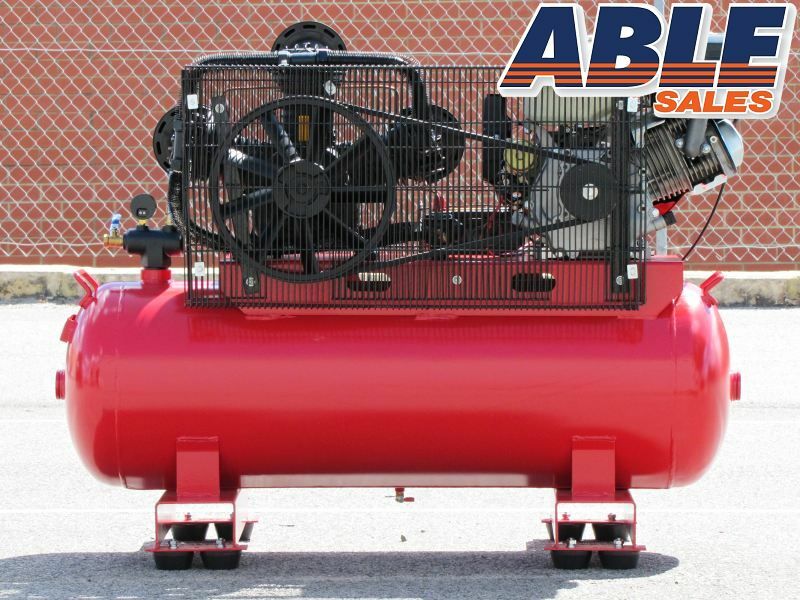 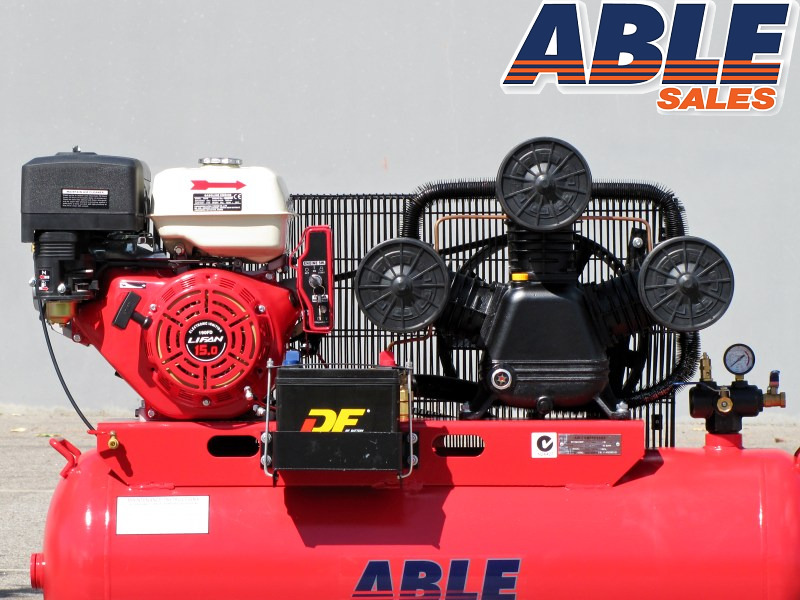 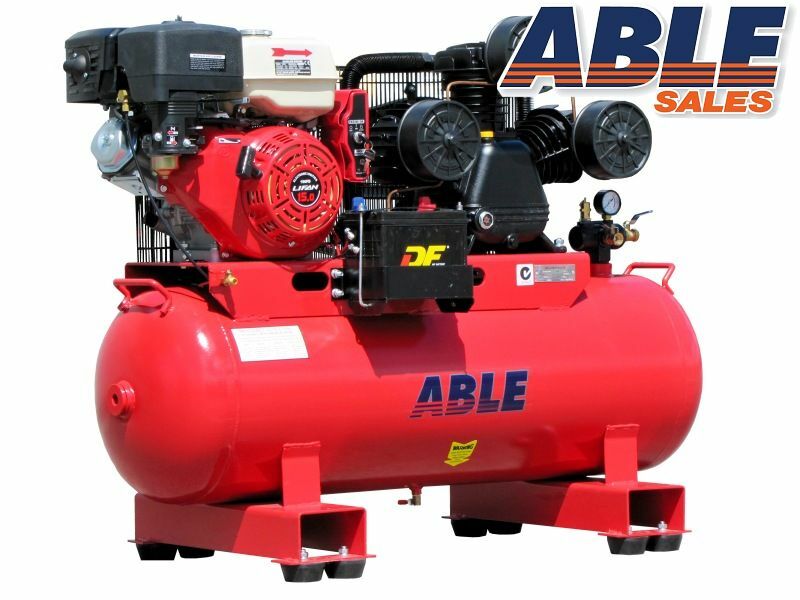 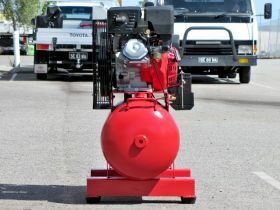 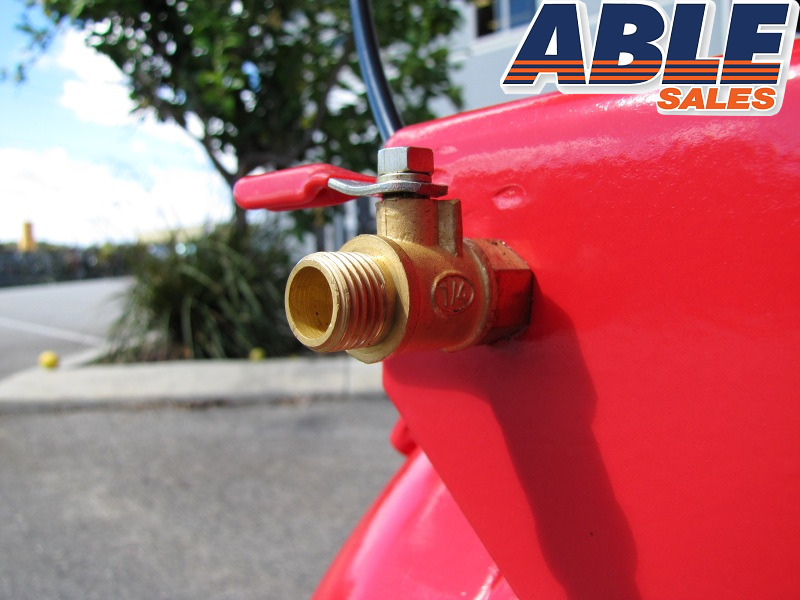 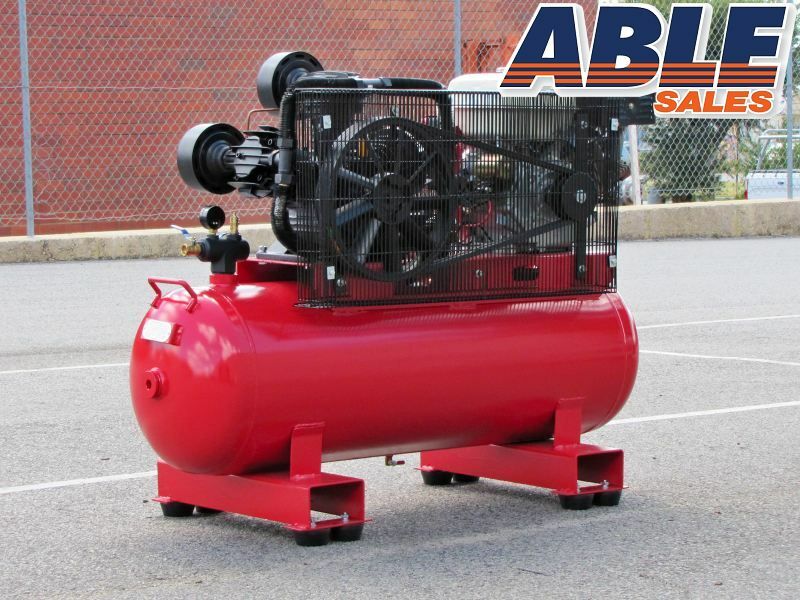 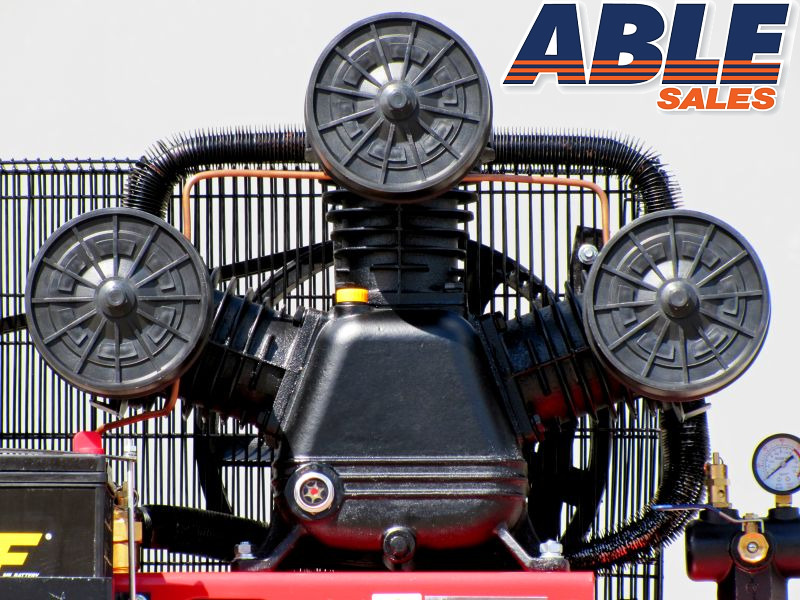 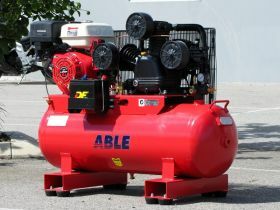 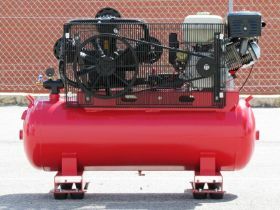 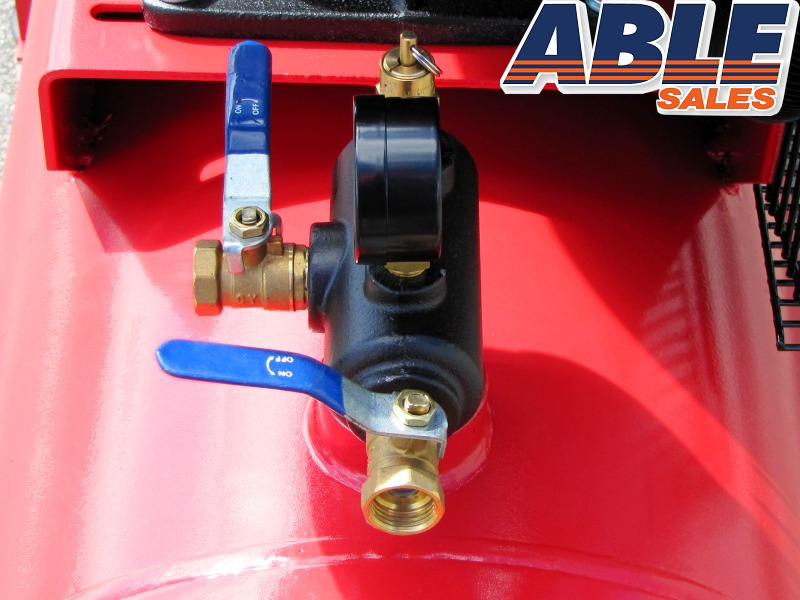 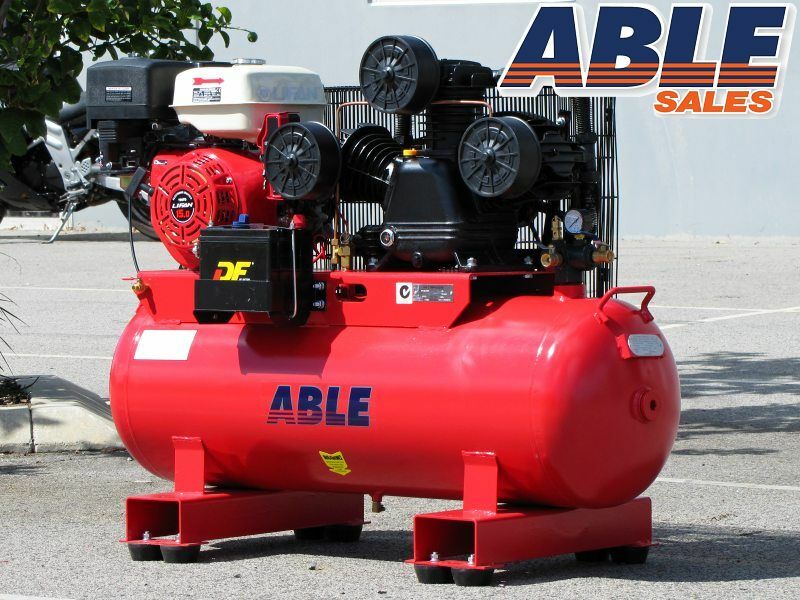 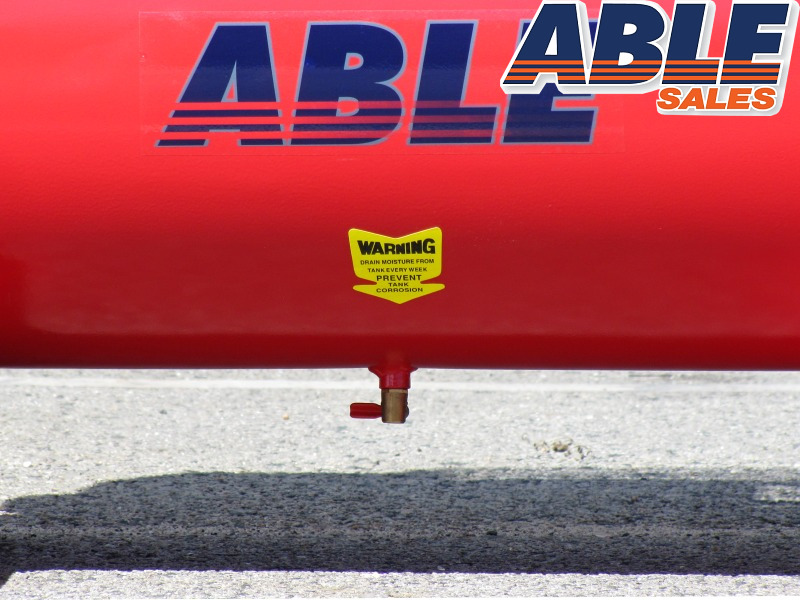 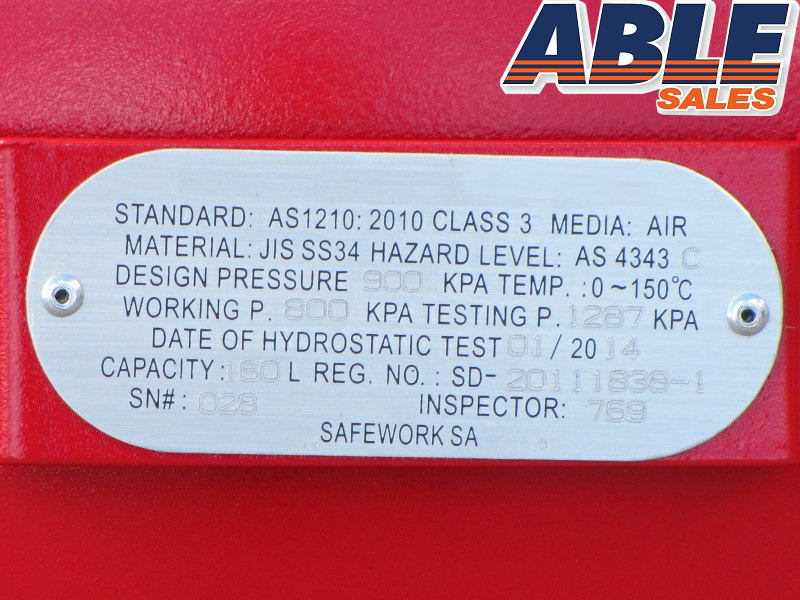 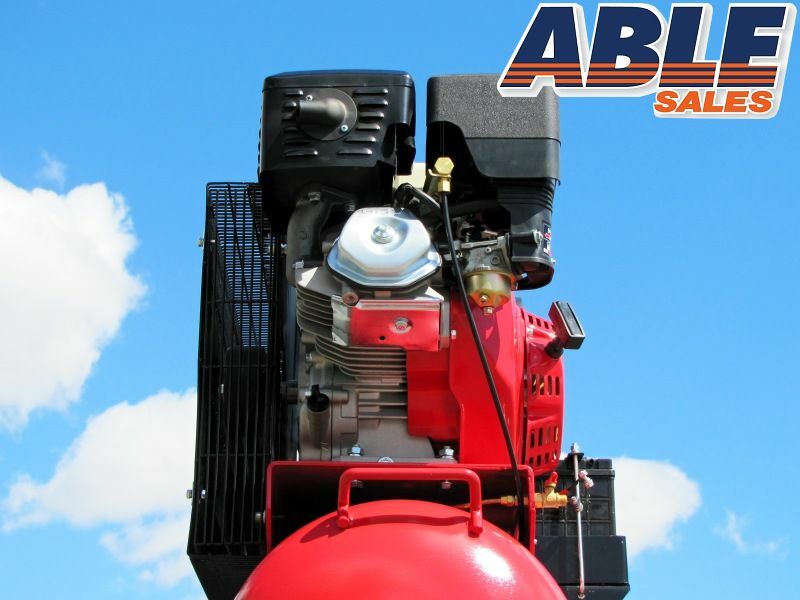 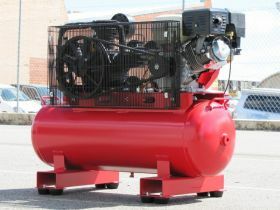 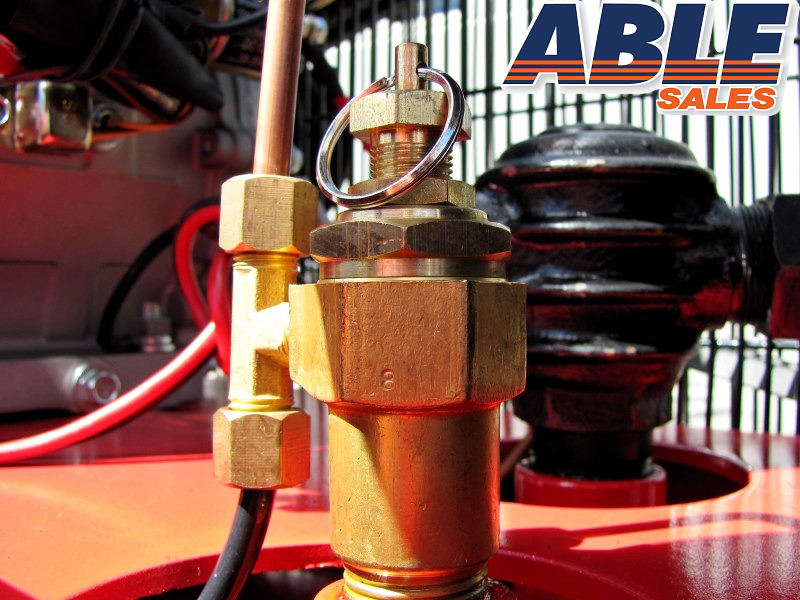 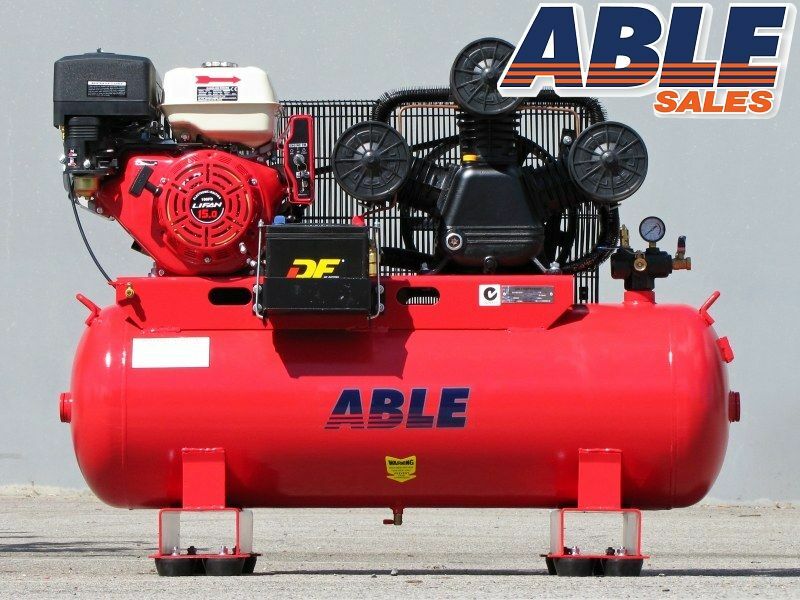 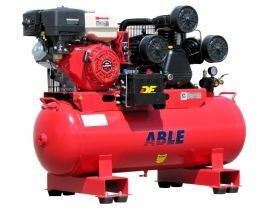 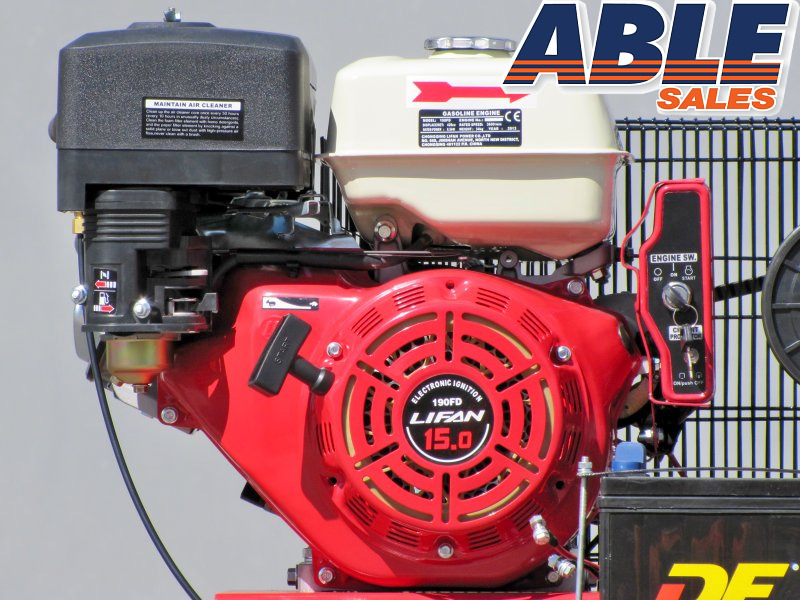 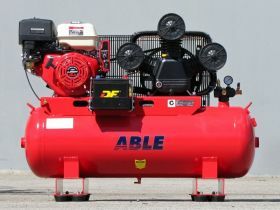 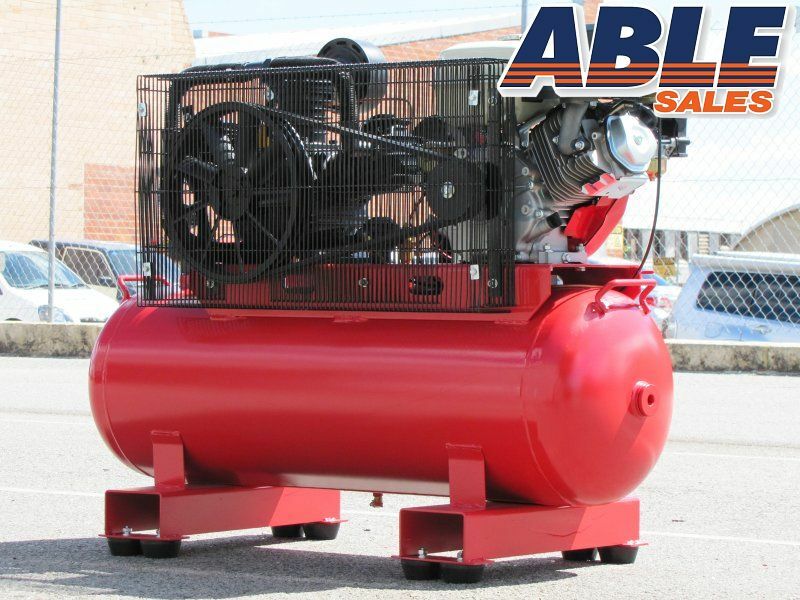 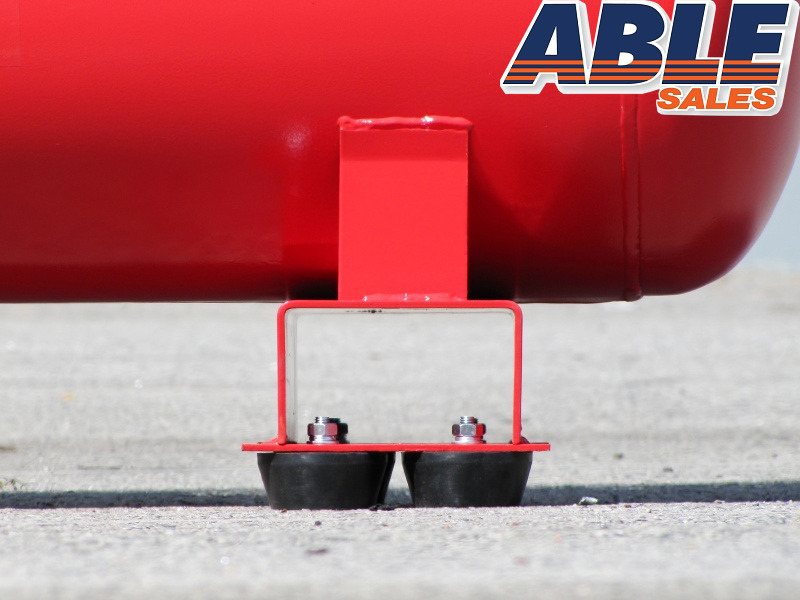 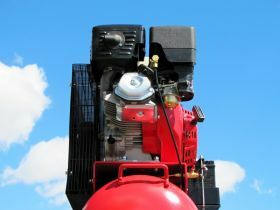 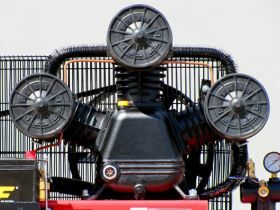 Able's Petrol Air Compressor won't let your company down. 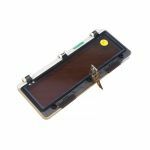 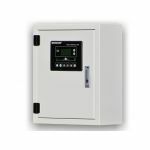 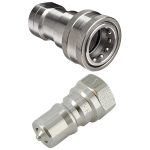 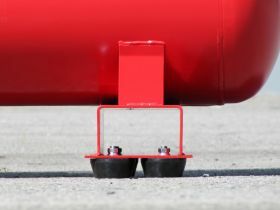 Perfectly suited for long sustained years of use in a demanding commercial settings yet still retaining Able's high quality parts, materials and design at a cost so low you'll have to check it twice. 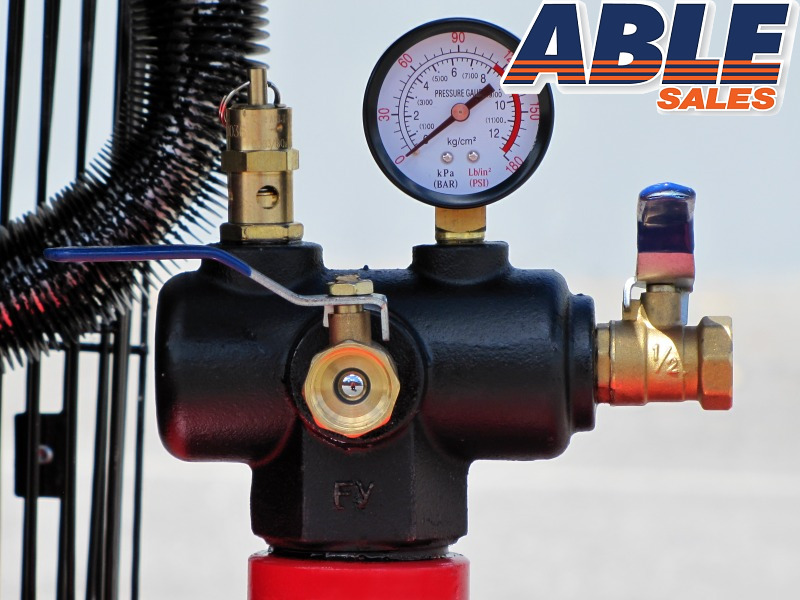 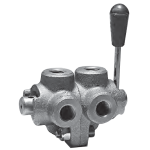 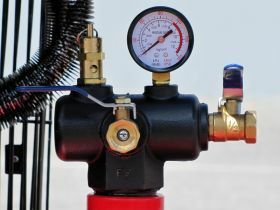 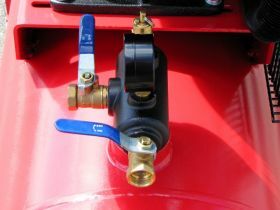 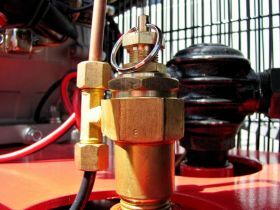 Copper pipes, stainless steel valves and a cast iron air pump come as standard. 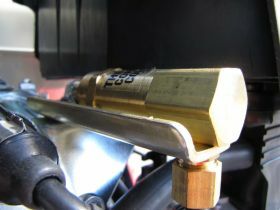 No cheap aluminium here. 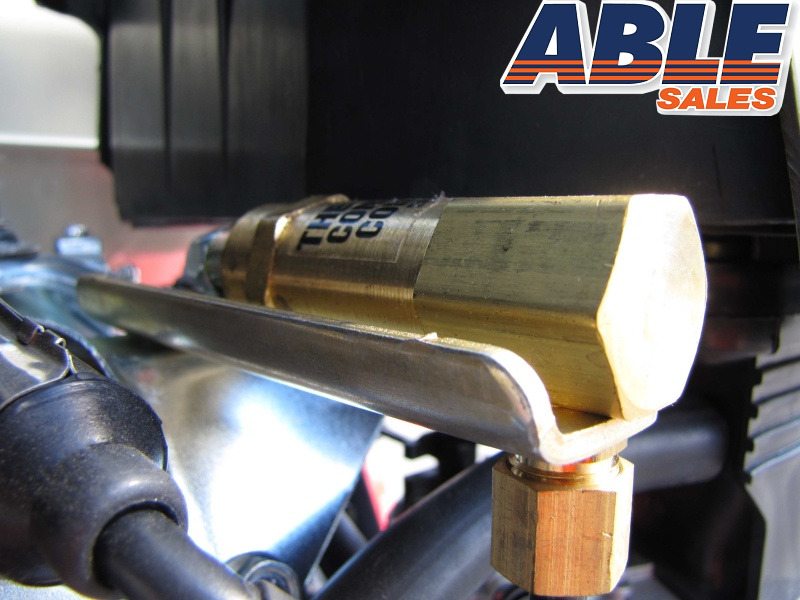 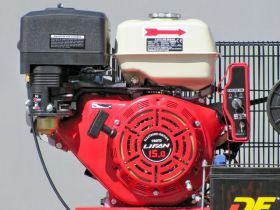 Combine this with a smooth running Low RPM engine and you have longevity you can depend on, inside and out. 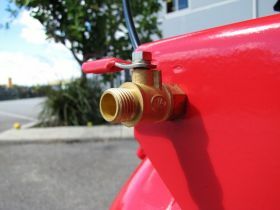 "We do NBN digging work in Melbourne and we are using it on our truck. 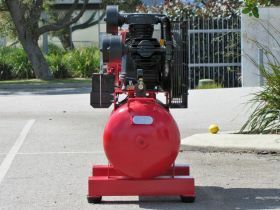 This is the best priced compressor for 45 mm Grundomat mole and it works well. "